Last updated on December 20th, 2018. The act of warming stones by fire then using them during massage therapy has been in existence for centuries among the native populations. This type of massage was used primarily to relieve aching muscles. Not much has changed over time. In the present-day, smooth, heated, flat basalt stones are arranged on key ailing body parts. This type of therapy eases tensed muscles, melts stiff muscles, increases metabolic rates, and promotes deep muscle relaxation. That’s not all, the benefits of hot stone massage extend further with every session of these water heated stones. These benefits depend on the techniques used as well as your goals for the massage therapy. Contained in this article is a detailed description of these benefits, how this type of massage works, and the potential risks it exposes you to. A hot stone massage is just like any other type of massage therapy, albeit with the application of heated basalt stones. Basically, basalt stones are utilized because of their impressive heat retention since they are iron nature, non-porosity, and extra smooth exterior. Another reason is that these stones are available in a variety of sizes, which makes it possible to maneuver them through the various strokes. Also, large muscles call for bigger stones and vice versa. Basalt rocks are shaped for years on river beds for the perfected smoothness. When being used during a massage, the hot water steeped stones become part of the therapist. As a result, deep, tolerable muscle massage can be delivered based on a client’s preference. Before being used, the stones have to be heated in sanitizing water for optimum user health. Part of the process entails the specific placement of the stones. Some of the stones are placed along the lines of energy of the body which include the spine, palms and between the toes. Once placed at these points, the heat from the stones is transferred to the muscles to correct the energy flow imbalance. Both placement and massaging sequences are done simultaneously. A typical hot stone massage therapy involves the treatment of the whole body, from your feet to your scalp. Similarly, a deep relaxation state is imparted in the participant. Because of the dribbling and snoring side effects of this massage, I suggest that you have someone collect you afterward. In this way, you would realize all the intended benefits of muscle relaxation. Muscle relaxation is one benefit that’s most common in all the massage therapies, through different relaxation mechanisms. 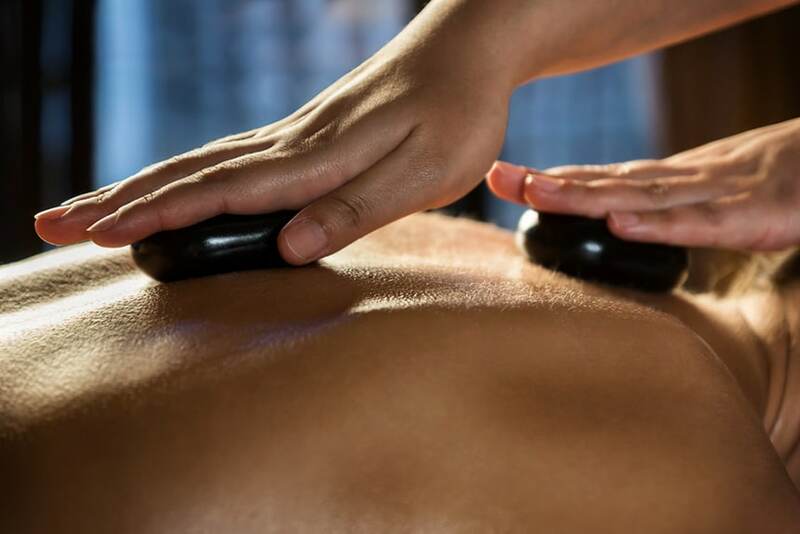 For a hot stone massage, the heat dissipated by the stones aid in softening of muscles so that the therapist manipulates the deeper lying tissues more effectively. If the muscles are too tensed, they become stiff and tight making it hard for the masseuse to reach the deep tissues. By placing the heated stones on the stiff areas, the heat eases the stiffness thus alleviating the tension. Resultantly, your sore muscles are eased hence leaving you feeling relaxed, unlike before. Efficient blood circulation throughout the body is the backbone of a healthy you. Without it, it becomes difficult for the body to prevent infections by pathogens or heal itself after an infection. 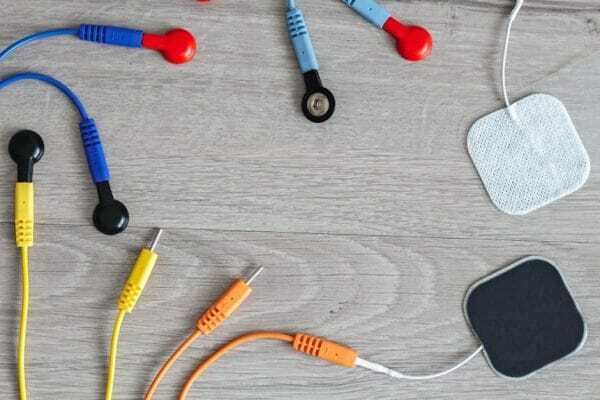 Additionally, poor blood circulation emanates in the form of discomforts such as muscle aches, tingles, cold, and fatigue. One of the recommended solutions to this detrimental health issue is a session hot stone massage. But first, you have to ensure that the practitioner is qualified to carry out the therapeutic massage. The application of heat on the blood vessels causes the expansion of the constricted vessels. Therefore, the restricted blood then flows to the previous areas because of poor flow. Muscle manipulation also directs blood flow by forcing fluid through thin portions of the veins and arteries. As a result of this benefit, your body is able to keep working in perfect order just as it is supposed to. Lactic acid buildup within the circulatory system is also prevented. Accordingly, oxygen-rich blood is supplied throughout the body to aid in the repair of worn out muscles. According to studies, over 80 percent of people are likely to suffer from sore backs or any other form of muscular pain at some point. These pains inhibit your normal functionality as the chronic or sporadic pain intensity increases when you attempt to either move or lift an object. 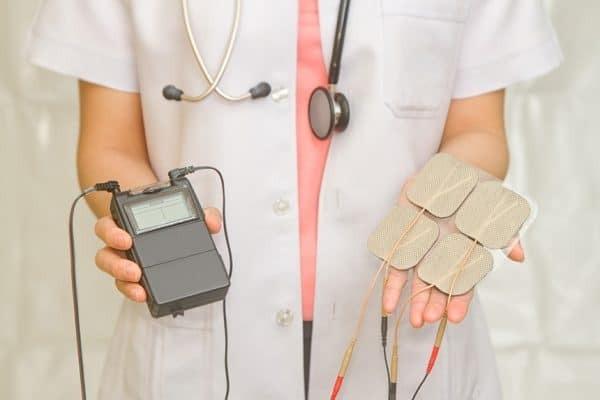 A growing list of clinical studies correlates hot stone massages and the alleviation, reduction, and management of either sporadic or chronic pain. Available data thus support the integration of massages into pain management programs. 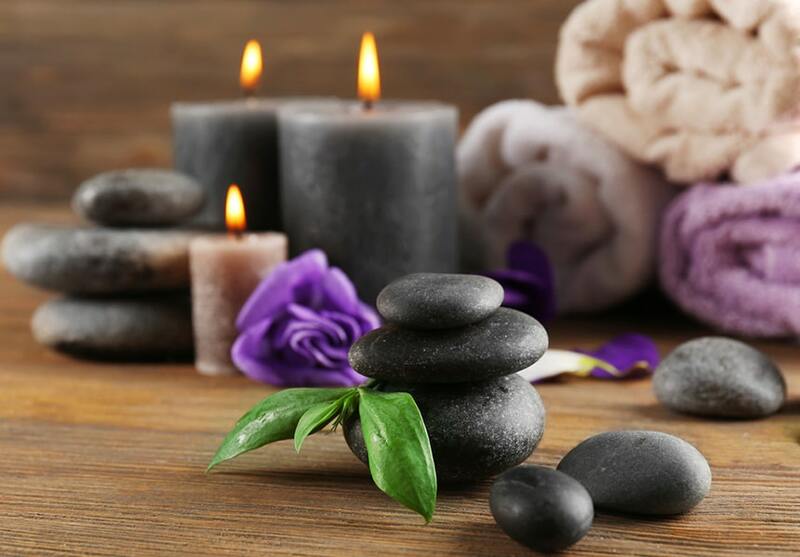 The intense nature of hot stone massage relieves tense muscles, stiff joints, and injuries. Deep penetration of the massage makes you physically better in comparison to a host of other massages. While at it, the pressure applied should be just enough and not harsh. It is also important to disclose any pain or discomfort you may feel when the pressure is applied. More harm than good could be the consequence if the resulting discomfort or pain is not revealed. This pain relief is associated with a number of chronic conditions such as carpal tunnel syndrome, arthritis, and fibromyalgia. Over time, stress accumulation rears its ugly head in unpredicted ways. Your daily routines have a compounding effect on your body, resulting in anxiety and stress levels going off the roof. If left unattended to promptly, stress causes the build-up of acids in the body which impedes the normal working order of the body. A hot stone massage solves the problem by first breaking down the damaging acidic levels and their symptoms. The vigorous stimulation of the muscles leads to the dissolution of the toxins, then discharged into the bloodstream. The person receiving the massage is left feeling refreshed both physically and psychologically. Solving the stress down at cellular level produces positive tangible results. Increased blood circulation, pain relief, reduced stress, and anxiety are all indicators of a healthy life. 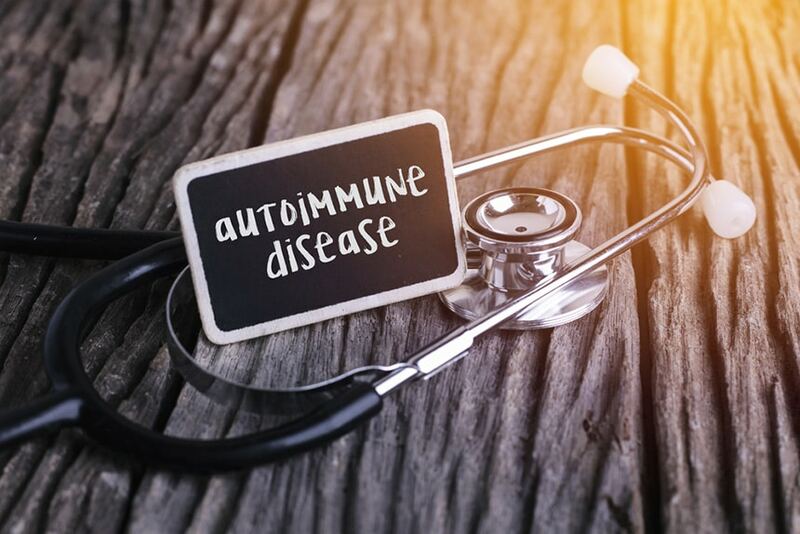 The result is a higher efficiency functionality of your immune system, helping you fight off potential diseases or illnesses. 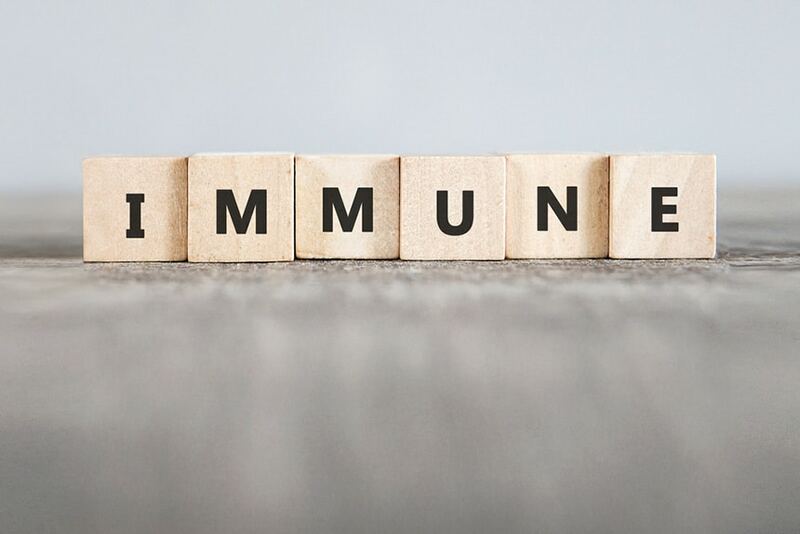 As you are already aware, it is the function of the immune system to act as the body’s armor, defending it against bacteria and infections. So, how exactly does hot stone massage boost your immunity levels? The answer lies in the secretion of serotonin levels by the brain. The secreted hormone boosts the body’s defense mechanism. Also, since a hot stone massage increases the rate of blood flow, more toxins are released from muscles into the blood. Consequently, these are discharged via the lymphatic system. Moreover, a hot stone massage also detoxifies the body while breaking down the acid contents. When the body is in a state of duress or stress, the production rate of acids increases at a faster rate than the body’s ability to discharge them. 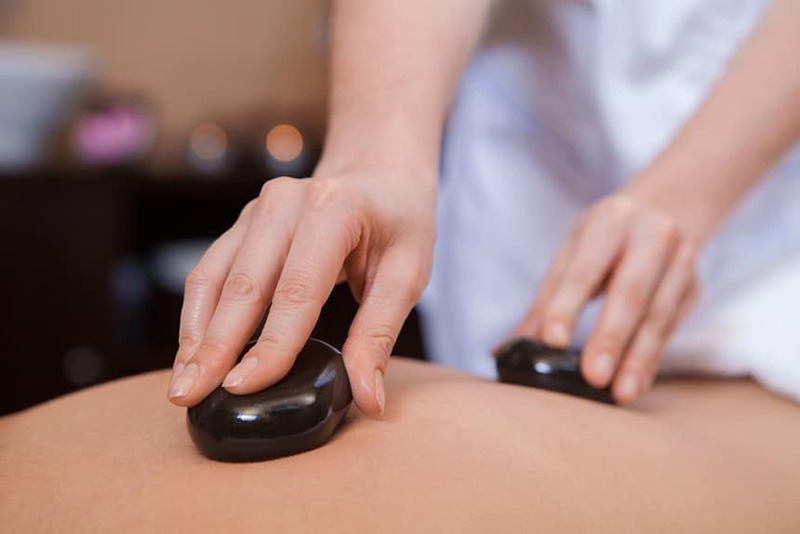 A regular session of a hot stone massage which has a detoxifying effect is triggered. This results in a more efficient immune system that was previously in operation. After a series of restless nights, we all long for a long decent nights’ sleep. It is through sleep that humans recharge their internalized batteries in readiness for the next day’s routines. If you don’t rest enough, carrying out your daily grind becomes challenging. Ease of irritability and an inability to focus are common indicators that you need to have a better sleep. Apart from being a perfect stress antidote, a hot stone massage greatly improves your muscle flex, thus inducing sleep in you. 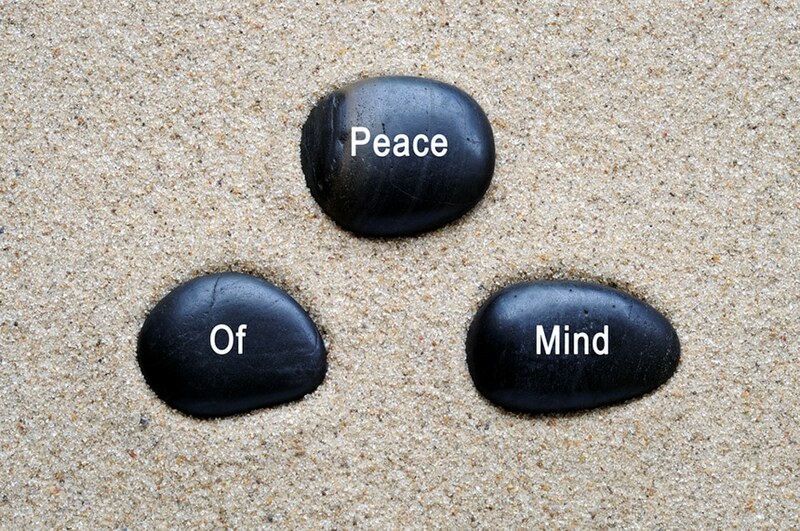 Having a peace of mind is the key to a well-deserved sleep. And when you wake in the morning, you feel refreshed, positive, and active. To maximize on this benefit, you have to make adjustments in your sleep routines so that you can enjoy the therapeutic effects of a hot stone massage. A hot stone massage delivers a surprising benefit to those with fibromyalgia and any other autoimmune disorders. This benefit is especially true if you go for a 30-minute or so session. After a while of receiving the massage therapy, you start to feel the advantages. The people suffering from these disorders start to have fewer instances of pain, trigger points reduce and sleep quality increases. While a hot stone massage is not a cure for fibromyalgia which triggers widespread chronic pain, it does relieve the resulting pain. One of the studies done in 2002 among people with this disorder concluded that receiving a 30-minute session of massage results in the benefits mentioned above. Sleep quality improves, trigger points reduce, and amounts of pain diminish. The relationship between hot stone massage and better fibromyalgia symptoms is the secretion of substance P. It is this substance that transmits pain signals in the body. By reducing its amount in the body, an individual technically feels less pain. A different 2013 study among rheumatoid arthritis patients showed the same reprieve trends. Those who participated in the study had improved motion ranges, higher grip strength, and less pain. While you get some reprieve from these conditions, you shouldn’t rely on a hot stone massage as a means of treatment. Here is the deal. 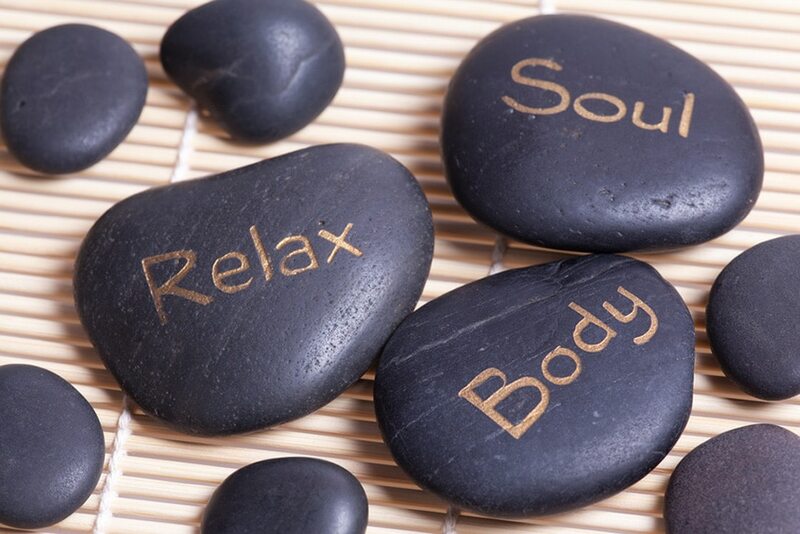 A hot stone massage is beneficial for both the psychological and physical health of an individual. However, not everyone should go for a session since it results in certain unwanted side effects. You need to consult your doctor first to ascertain that you do not have any of these conditions first. Also, the temperature of the stones has to be right. If they are too hot, then you risk suffering burns. Your head also needs to be well-cushioned when receiving the massage. Your therapists should be able to cool down the stones to the right temperature for you. But if even after cooling you still feel that they are too hot, inform him/her to cool them further. Besides hot stone massage, there are other types of massage that can bring a ton of health benefits. The important thing is you should know which massage is the best for you. Learn more about the benefits of Swedish massage therapy and Thai massage.